You can scope out this art installation at 8th Wonder in the near future. 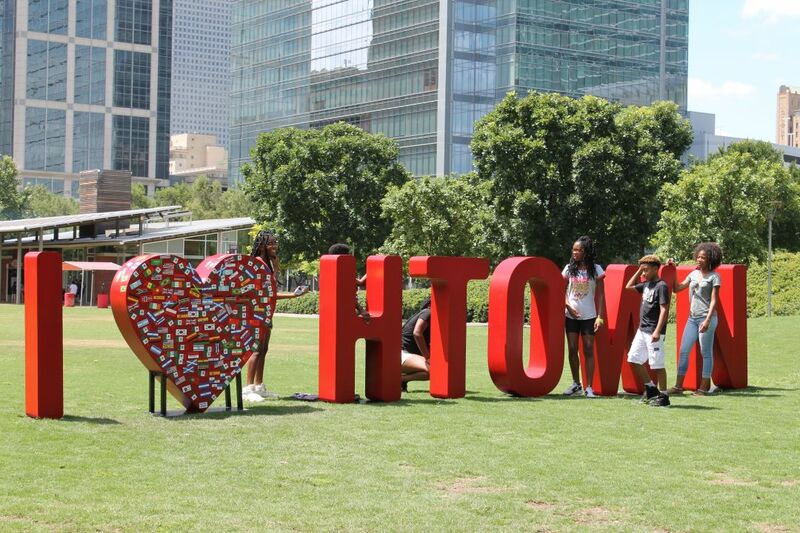 Stickers of various national flags covered a red heart in the Discovery Green Conservatory, and the I Am An Immigrant campaign set up large block letters spelling out I love Htown as part of this year’s Immigrant Heritage Month celebrations. 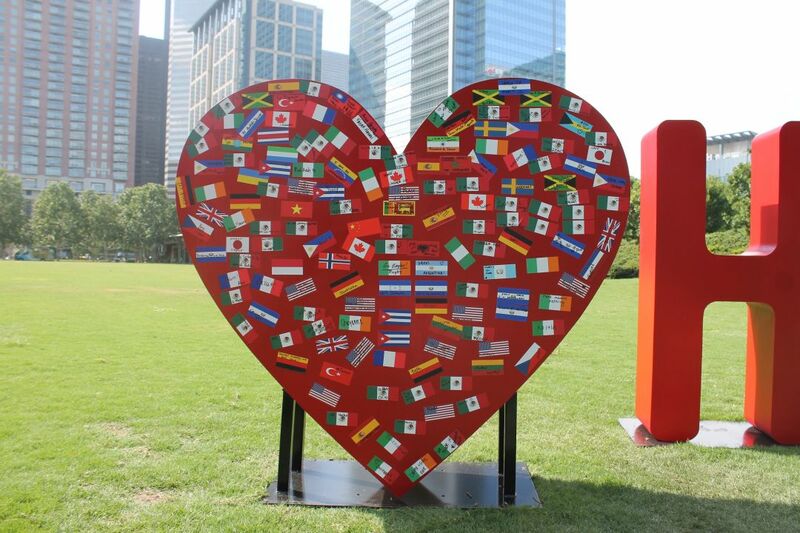 The organization hosts Immigrant Heritage Month events all over the country in June, and while its interactive art installation was temporary—lasting only on this past Saturday and ending with that heart covered in flag stickers to represent Houston’s immigrant heritage; as of 2013, our diverse city was home to 1.4 million foreign-born residents —messages from the event are lasting. 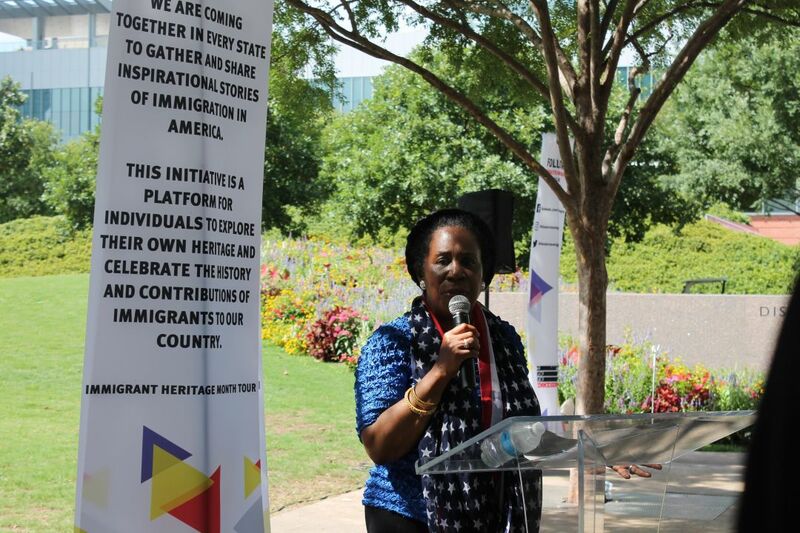 Congresswoman Sheila Jackson Lee speaks to the crowd. Congresswoman Sheila Jackson Lee and City Council Member Robert Gallegos also made an appearance at the event, showing their support for immigrants. DACA recipients Jesus Contreras and Cesar Espinosa, as well as founder of the messaging app Tribl Ikechi Nwabuisi, also spoke at the event. Kemal Sariibrahimgolu, an immigrant from Turkey, put a Turkish flag sticker on the heart and signed it with his name. He said he thought it was really amazing that there was an event and a month to celebrate immigrants like him. Axel Majano, while not an immigrant himself, put up flags of Mexico and El Salvador, representing where his parents came from. You can know them too. 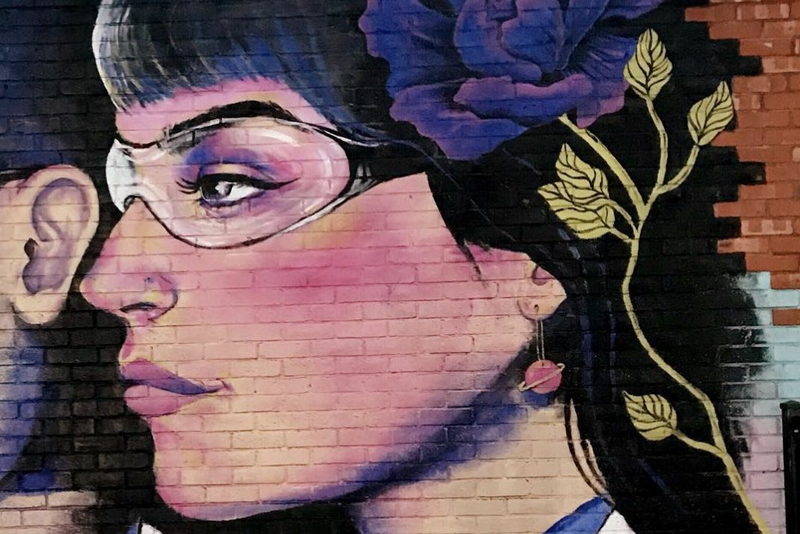 According to the event organizer, Zaira Garcia, 8th Wonder Brewery is interested in the art piece and is planning to install it there.